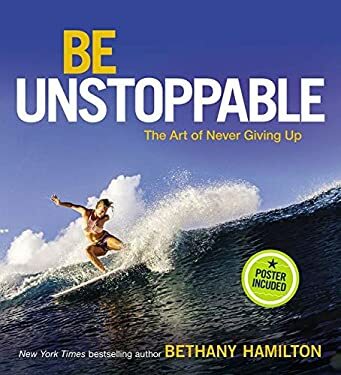 In Be Unstoppable, New York Times bestselling author and champion surfer Bethany Hamilton shares how faith, love, and passion have pushed her beyond all expectations. Alongside over sixty breathtaking photos from the making of her new documentary, Bethany Hamilton: Unstoppable, Bethany inspires readers to be bold, enjoy life, and be the best they can be. No one knows what will happen along life's journey, but Bethany's sense of wonder and adventure found through hard work and devotion shines through all her pursuits. Known most notably for one of the biggest comeback stories of our era, Bethany Hamilton has since become synonymous with being unstoppable. Bethany is a sought-after public speaker, professional surfer, and spiritual icon. She is empowering audiences worldwide to live their lives with more tenacity, courage, and faith. In this four-color, giftable photo book with a decorated cover, inspiration is found on every page.